Dear Reader: This is the second post in the Bath series for Northanger Abbey, which is being featured this month on Austenprose. My first post about the Pump Room sits here. Assembly Room near the Circus; You can see the dome of the Octagon Room from the air, near Bennet Street and Saville Row. Poor Catherine, how frustrated she must have felt decked out in her new finery and forced to watch others dance and enjoy themselves. Etiquette deemed that at a public assembly no young lady could dance with a partner unless they had been properly introduced. Because Mrs. Allen had no acquaintances in Bath, Catherine had to sit on the sidelines. 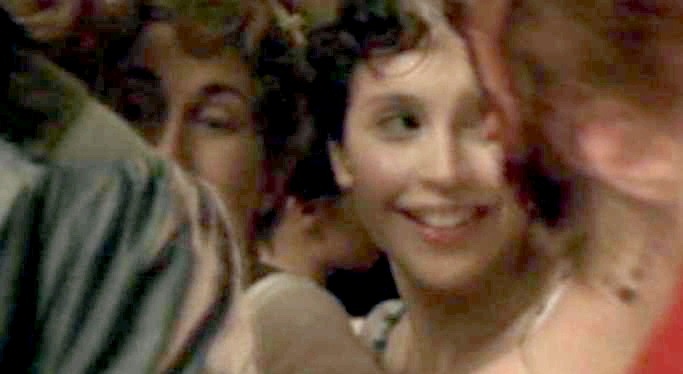 If the ball had been private, she could have danced with any of the gentlemen who solicited her for a set. 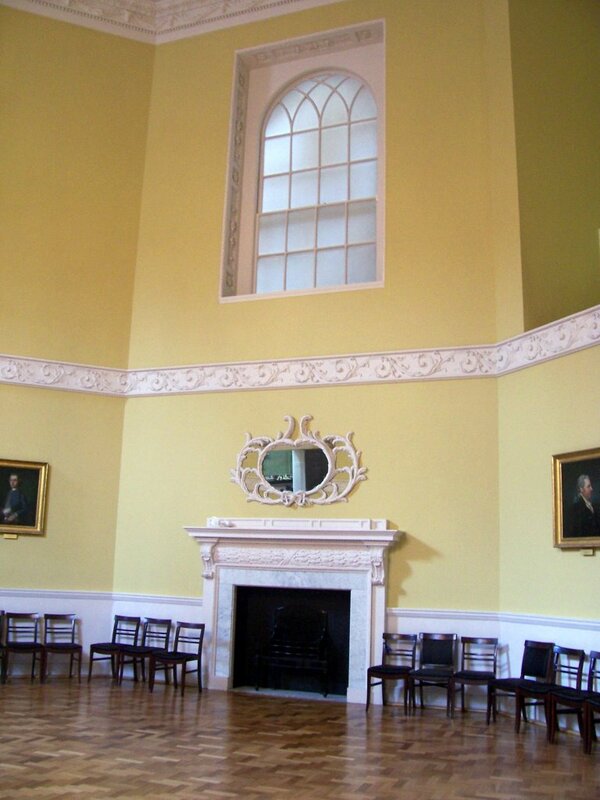 On another evening, in the Lower Assembly Rooms (located near Bath Abbey), Henry Tilney would arrange for the Master of Ceremonies to formally introduce them. But for now, in the Upper Rooms (which were situated near the Circus), Catherine would have to remain at her chaperone’s side. Public assemblies were a way for young couples to meet a potential partner from outside their immediate social circle. One purchased a subscription for a series of balls (which included supper) or for the entire season. 5. “That a subscription of 1l. 10s. to the Dress Balls shall entitle the subscriber to three tickets every ball-knight; one for the subscriber, not transferable, and two for ladies. These two latter tickets will be transferable, on being endorsed by the subscriber, without which form the bearer will not be admitted. A subscription of 15s. shall entitle the subscriber to one ticket, not transferable. 6. “That a subscription of 1l. to the Cotillon Balls shall entitle the subscriber to one ticket every ball-night: this ticket not transferable. 7. “That no person whatever be admitted into the Ball-Rooms without a ticket; nor any visitor or stranger, unless he shall previously have inserted his name and place of abode in a book to be kept for that purpose, under the controul of the Master of Ceremonies. 8. “The subscribers are respectfully requested to observe that their subscriptions cease when they leave Bath; and it would be of much public utility, if they would be pleased to give notice at the Rooms of their departure, which would prevent their tickets being improperly used. 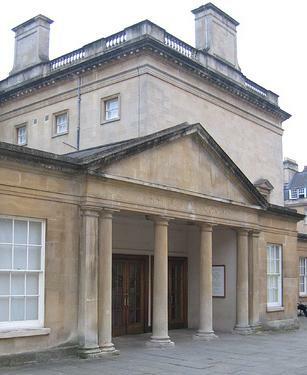 The crowds as described by Jane Austen at the Upper Rooms, the newest and largest Assembly Rooms in Bath, were a crush. Balls were held twice a week and attracted from 800 to 1,200 guests at the height of the season, which drew to a close in May. Because the social whirl was so popular in this fashionable spa city, the Upper Rooms and Lower Rooms held dances on different evenings so that visitors would have a chance to attend them every night they were offered. Beau Nash, the arbiter of taste and fashion in the 18th century, was the first Master of Ceremonies to preside over the Assembly Rooms. His rules and regulations allowed for people of different rank and distinction to mingle at the public assemblies. He reprimanded those who invoked social precedence in dance and prevented those who threw private parties and balls from creating an atmosphere of exclusion. By 1819, the city’s reputation as a fashionable resort for the rich had waned, but the city was still a quite popular destination, especially with the rising middle classes. “Rauzzini” in his tie-wig, conducting his famous band in the musicians’ gallery. We seemed to hear the strains of their music accompanied by the tread of the dancers’ feet. “The Monday dress-ball,” says a contemporary writer, “is devoted to country dances only. At the fancy-ball on Thursday two cotillions are danced, one before and one after tea.” This fancy-ball was not a bal costumé, but simply an occasion on which the stringent rules regulating evening dress were relaxed. “In the height of the season,” continues our author, “there are generally twelve sets, and as the ladies, on this occasion, exert their fancy to the utmost in the display of their shapes and their dress, the spectacle is magnificent.” The ladies, we read, wore comparatively short skirts for the cotillion with their “over-dresses picturesquely looped up.” Does not this remind us of Isabella and Catherine “pinning up each other’s train for the dance”? “Despite a decline since its peak of popularity in the 1790s, the town still remained the wealthiest and most important of England’s resorts, and its musical culture was second only to that of London. 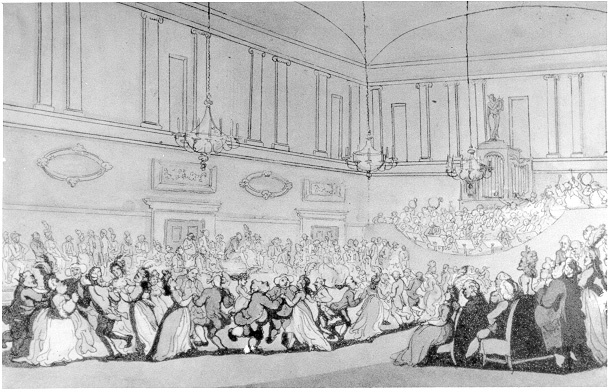 The main concert venue was the Upper Rooms (the present Assembly Rooms) in Bennett street, where the veteran castrato Venanzio Rauzzini presided over a series of concerts in which local musicians were joined by leading players and singers from London.” Samuel Wesley, Philip Olleson, p. 87. 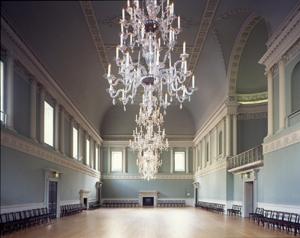 Today the Assembly Rooms are still available for special occasions. Visitors to Bath can view them (for a cost, of course), and visit the Museum of Costume afterward. 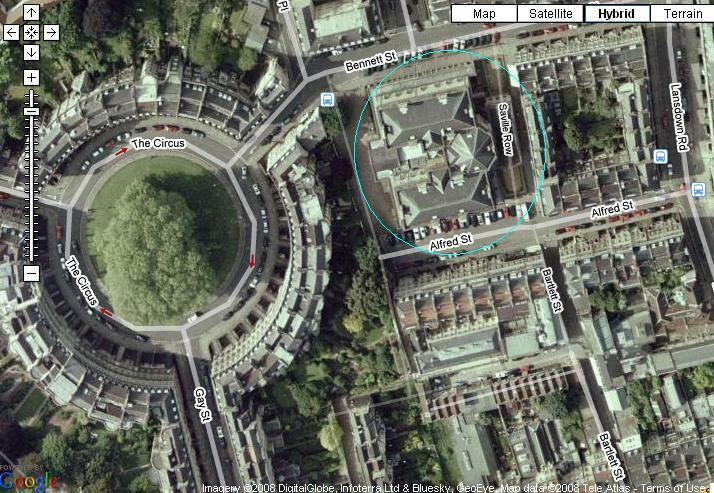 See a panoramic view of the Assembly Rooms off Saville Row and Bennet Street, Bath 360. What a wonderful post. I look forward to reading more about Bath. I always learn so much by reading your informative posts! I love them! Thank you! I love your posts on Bath but they always make me pine to go back! I am currently reading Northanger Abbey for the first time and am finding your comments on the social customs of the era most valuable. Thank you!